C. West Churchman (b. 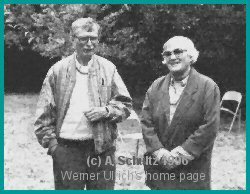 29 August 1913 in Philadelphia, Pennsylvania; d. 21 March 2004 in Bolinas, California) is probably the most influential philosopher of systems thinking thus far. A founding father of operations research and management science and NASA research philosopher, he never allowed himself to become absorbed by the mainstream of the fields he pioneered. Two outstanding qualities that distinguish his academic life: intellectual honesty, and moral outrage. Essay history: This is a revised and expanded version of an essay that was originally published under the title "C. West Churchman – 75 years" as a guest editorial to a Special Issue of the journal Systems Practice in honor of C. West Churchman's 75 years (Vol. 1, No. 4, 1988, W. Ulrich, ed., pp. 341-350). An earlier revision was published in August 1999 as a contribution to the "Luminaries of the Systems Approach" section of the web site of the International Society for the Systems Sciences (ISSS). In January 2005, it was reformatted as a Wiki page and relocated to a new URL, but meanwhile it has once more been reformatted and relocated to its current URL; http://projects.isss.org/doku.php?id=c_west_churchman (last updated 6 Jan 20011). For this ISSS "Luminaries" edition, the original text was expanded and a bibliography of selected writings of C.W. Churchman was added. The present third version was first published in the author's home page on 12 Nov 2002. Its text was further expanded and a few pictures of C.W. Churchman were included; at the same time, the bibliography became a comprehensive listing of Churchman’s publications available as an independent on-line resource. The essay was revised on 26 Mar 2009, with some further editorial amendments and a new layout for the PDF file added on 14 Dec 2009. A Word of Caution: In the past, some commentators have quoted from the three different versions of this essay as if they represented the original voice of Churchman. This is a misreading of my intent. Rather than aiming at a scholarly exegesis of West's work, I try to honor West by portrying him as the person and thinker whom I knew in the 1970s at the University of California, Berkeley. The best way I can do this is by explaining the influence he had on me, and accordingly by offering my personal, biased understanding of his thinking through the lens of my critical systems heuristics. However, as much as my work owes to West's influence and inspiration, critical heuristics is different in orientation and language from his systems approach; it is shaped by the contemporary revival, in Continental Europe, of practical philosophy along with language analysis and discourse theory and by my subsequent effort to reconstruct the "systems approach" in the terms of practical reason and critical discourse. Please do not blur these differences. Thank you. Intellectual Honesty The systems idea, provided we take it seriously, urges us to recognize our constant failure to think and act rationally in a comprehensive sense. Mainstream systems literature somehow always manages to have us forget the fact that a lack of comprehensive rationality is inevitably part of the conditio humana. Most authors seek to demonstrate how and why their systems approaches extend the bounds of rational explanation or design accepted in their fields. West Churchman never does. To him, the systems idea poses a challenge to critical self-reflection. It compels him to raise fundamental epistemological and ethical issues concerning the systems planner's claim to rationality. He never pretends to have the answers; instead, he asks himself and his readers a lot of thoroughly puzzling questions. I remember well the intellectual excitement I felt when I first read this question. Finally I had found a key to an adequate understanding of the systems idea. It was then, in 1972, that I first began to capture the real challenge posed by the systems idea: its message, I concluded, is not that in order to be rational we need to be omniscient but, rather, that we must learn to deal critically with the fact that we never are. What matters is ultimately not that we achieve comprehensive knowledge about the system in question (an impossible feast) but rather, that we understand the reasons and implications of our inevitable lack of comprehensive knowledge. (Ulrich 1981, p. 7; 1983, pp. 21 and 260-262; 2001, pp. 15 and 23f). I should mention though that West himself never formulated his philosophical intent in such a way, perhaps because he was not prepared to abandon the quest for comprehensiveness that he associated with the systems idea and which he had pursued so relentlessly thoughout his career. Yet it was his work that made me first draw this conclusion and thereby set me on the path towards 'critical' systems thinking (cf. Ulrich 2001, p. 12f and 2004b, pp. 1127-1129). West's question thus was an incisive event in my academic life. Never again the systems approach would be the same as before. As Immanuel Kant (1783, p. A190) noted in a famous remark, "he who has once tasted critique will for ever loathe all the dogmatic twaddle with which he was hitherto contented.…." Very much in the same way, once I had sensed the intellectual fascination and moral spirit of West's fundamental question, it never again let me return to my previous, "precritical," understanding of the systems idea. Soon after, I was to meet West – along with Erich Jantsch and Sir Geoffrey Vickers – at the 1972 International Management Symposium in St. Gallen, Switzerland. From then on, I had a new project for the time after my doctoral dissertation: I wanted to work with West Churchman! Four years later, in 1976, a research scholarship of the Swiss National Science Foundation enabled me to move to the University of California at Berkeley and to become West's disciple. Indeed, must we not regard it as a scandal of systems philosophy that planning under the guise of "systems design," just as any other use of the human intellect to improve the human condition, appears to create ever more new problems – the ecological crisis, the threat of nuclear self-destruction, the dangers of genetic engineering, etc. – while failing to solve the old ones, e.g., poverty, malnutrition, overpopulation, war, etc.? It is true, thought can demonstrate why this is so (as West has done so often with the example of the inventory problem): namely, because "in any specific problem one finds the connectedness to all the other problems" (Churchman, 1982b, p. 13). This overwhelming connectedness of problems forces systems designers, no less than any other planners, to content themselves with partial solutions that consider only a limited number of whole systems implications – usually those of interest to the involved decision-makers. But thought cannot turn that which is normal into an ethically justified norm. It cannot, for instance, excuse our morally outrageous indifference to worldwide starvation, our very prevalent lack of concern for future generations, or our tolerance of war. As West would insist, we cannot, by complaining about the overwhelming connectedness of the world, escape our responsibility for the poor and hungry whom we let suffer, or for the future generations whose options we confine today. Whether we want it or not, the connectedness of the world makes us responsible for the whole-systems implications of our bounded systems rationality. Professional Career If Professor Churchman had written his intellectual autobiography, its title might be Against the Stream. And its subtitle might read: Untimely Reflections of a Systems Philosopher. His many writings are almost all an expression and result of his lifelong struggle to swim against the stream of the prevailing methodological and epistemological tendencies in the applied disciplines, e.g., their ever-growing specialization and fragmentation in spite of the common lip service paid to the ideas of interdisciplinarity and comprehensiveness; their inherent positivism and reductionism; incrementalism; a functionalistic and instrumental understanding of rationality that leaves no room for ethical considerations; and perhaps worst, the uncritical stance of most disciplines with respect to these tendencies and their repercussions on the social practice that they claim to improve. I say "most" because, happily, there are exceptions. It is certainly not by chance that the two fields of inquiry that Churchman has helped to shape, operations research / management science and the systems approach, today belong to those applied disciplines which are most aware of the limitations and shortcomings of their underlying paradigms and which hence seek to open themselves up to new horizons. Although a pioneer of both fields, Churchman has also been one of their most thorough critics, never ceasing to work at the limits of their established paradigms. Photograph (edited) from the cover of Einführung in die Systemanalyse (Moderne Industrie, Munich, 1970, and Ex Libris, Zurich, 1974, German edition of The Systems Approach, Delacorte Press, New York, 1968). If it was his moral outrage at the failure of the applied sciences to secure improvement which moved him, it was his training in logic and in philosophical pragmatismwhich made him a scholar of rare clear-sightedness and consequence. Churchman originally studied philosophy at the University of Pennsylvania in Philadelphia (BA in Philosophy, 1935; MA in Philosophy, 1936). His doctoral thesis of 1938 was Toward a General Logic of Propositions. At Pennsylvania University he also began his career of over half a century of academic teaching and writing. Already before completing his dissertation, in 1937, he became Instructor of Philosophy; in 1939, he was appointed Assistant Professor; in 1945, the young Assistant Professor was elected Chairman of the Department of Philosophy. We can recognize the same pragmatic stance in Churchman's earlier-quoted basic question, which he often used to begin his courses, "Is it possible to secure improvement of the human condition by means of the intellect?" I think this is indeed the fundamental question of all practical philosophy. Most practical philosophers manage to theorize on this question without ever trying to practice practical philosophy. For them, practical philosophy appears to mean just another ecological niche of philosophical speculation. Not so for West Churchman. A pragmatic understanding of philosophy means for him that the philosopher must leave the ivory tower and practice philosophy as applied philosophy. His goal must be to bring philosophical reflection into the world of practice. In 1958, Churchman was offered the position of Professor of Business Administration in the Graduate School of Business Administration of the University of California at Berkeley, where he had previously spent a visiting year. He remained there until his retirement in 1981. During that time he founded Berkeley's graduate program in operations research and helped establish the Center for Research in Management Science. Many additional appointments outside of the Business School made sure the field he had chosen for practicing applied philosophy did not become a new ivory tower. 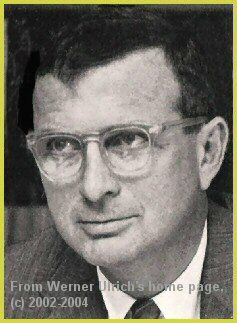 Just to mention a few, from 1962 to 1963 he served as a research director of System Development Corporation. In 1963, he was appointed Research Philosopher and Associate Director at the Space Sciences Laboratory of the University of California at Berkeley, where he directed the Social Sciences Program. Other engagements included teaching mandates in the Interdisciplinary Ph.D. Program of the Graduate Division of UCB and in other Universities as well as consulting mandates with commercial corporations, non-profit organizations, and government agencies, among them the National Aeronautical and Space Administration (NASA), the U.S. Department of Energy, the Texas Energy Council, the Office of Education, the U.S. Fish and Wildlife Service, World Malnutrition (USAID), and others. After his retirement, he continued to teach at UCB as a Professor of Peace and Conflict Studies until 1996. Publications Let us now turn to some of Churchman's major academic publications during these years. The first work to be mentioned, apart from the earlier-mentioned dissertation (Churchman 1938), is probably Psychologistics, a manuscript he co-authored with his then doctoral student R.L. Ackoff (Churchman and Ackoff 1946). It aimed to provide a general framework for the social sciences based on E.A. Singer's theory of purposive behavior. A summary of this early effort can be found in Churchman's (1961) book, Prediction and Optimal Decision (Ch. 7); an extensive revision was later published by Ackoff and F.E. Emery (1972) as On Purposeful Systems. For an introduction to this theoretical framework and its philosophical root, Singer's "experimentalism" or nonrelativistic pragmatism, see, e.g., Singer (1959), Churchman (1971, Ch. 9; 1982a), and Britton and McCallion (1994); a short review of the philosophical core concepts can be found in Ulrich (2004a, 204-208, and 2004b, 1125-1127). During these early years in the Philosophy Departments of Pennsylvania and Wayne Universities, Churchman also wrote his early masterpiece, Theory of Experimental Inference (1948), and another book authored jointly with Russ Ackoff, Methods of Inquiry (1950). Especially Theory brought the young philosopher wide recognition in the philosophical community. It provided the philosophical foundation for the later pioneering work in operations research. The book provided a new framework for a theory of applied science based on the philosophy of pragmatism; it also offered essential reflections on the experimental method, particularly concerning the importance and problems of metrology (theory of measurement) and of statistical inference. It showed that there could be no single "best" model of science – an insight to which the analytical philosophers and critical rationalists of that time had hardly advanced. Although acclaimed by the philosophical community, the book stood alone against the mainstream tendency toward analytical philosophy. The American philosophical community honored it not by taking up its argument but by entrusting its author with the editorship of its prestigious journal, Philosophy of Science. From 1948 to 1958, Churchman served as its editor-in-chief. After moving to Case together with Ackoff, Churchman began his pioneering work in operations research. The earlier-mentioned activities led to the publication of the field's first textbook, Introduction to Operations Research, together with Ackoff and E.L. Arnoff (1957). The book introduced O.R. as an interdisciplinary, team based, "application of scientific methods, techniques, and tools to problems involving the operations of a system" (pp. 8f and 18). It strongly emphasized the necessity of avoiding any one-sided reliance on specific techniques or tools (e.g., of modeling), so as to maintain "an openness of mind about techniques, together with a broad knowledge of their usefulness and an appreciation of the over-all problem" (p. 12). Furthermore, as the programmatic title of the second chapter proposed, O.R. should be "the study of a system as a whole" (p. 20). At least one third of the text deals with philosophical and methodological aspects of such an interdisciplinary approach to real-world problem solving. But the book's success in promoting operations research as a new academic field had paradoxical consequences. The field rapidly developed into a highly technical discipline; the majority of its practitioners no longer thought of it in terms of interdisciplinary social science or even applied philosophy but, rather, of mathematical modeling. 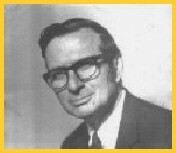 Events somehow repeated themselves: the OR/MS community, as the field was now generally called (operations research/ management science), acknowledged and honored its pioneer but did not really hear him. In 1954, Churchman became the first editor of the field's leading journal (which he had helped to establish), Management Science; a post that he held until 1961. In 1962, he served as President of TIMS, the Institute of Management Science; in 1963, as its Council Chairman. In the sixties, Churchman took the step from operations research to the "systems approach." As with operations research before, he wanted the systems approach to be understood as an effort of applied philosophy. There he was out again swimming against the stream of the day, against those true believers in The New Science of Management Decision (Herbert A. Simon, 1960; cf. Churchman, 1970, and Ulrich, 1980) who thought that the new tools of systems engineering, RAND systems analysis, PPBS (project planning and budgeting system), etc., would finally turn the art of decision making, whether in the private and in the public sector, into a question of technique. In 1968, Churchman presented two important books: Challenge to Reason (1968a) and The Systems Approach (1968b). The first book offers a philosophical discussion of the question quoted at the beginning of this appreciation, "How can we design improvement in large systems without understanding the whole system.…?" In spite of its philosophical nature, this book was distinguished by the American Academy of Management as one of the "best books in management of the year 1968" – truly a distinction for an author who seeks to practice philosophy as an applied discipline! The second book was to become the most popular of Churchman's books; over 200'000 copies have been sold. It, too, received a prestigious award, namely, the McKinsey Book Award as one of the best management books of the year. The year 1971 was to see the publication of yet another important book, The Design of Inquiring Systems. It is one of the more difficult books by Churchman, but perhaps it is also his most original one. In my understanding, the book represents another attempt of Churchman's to approach his fundamental question of how it is possible to secure improvement by means of the intellect. Improvement implies learning; can systems design secure learning? Churchman's idea was to look at different epistemologies that the history of philosophy has brought forth, as designs for inquiring systems, i.e., systems that would be capable of learning. What can we learn from Leibniz, Locke, Kant, Hegel, and Edgar A. Singer about the possibilities and limitations of designing systems that could secure improvement? In his next major book, The Systems Approach and Its Enemies (1979), Churchman again took up this theme, though in quite a different way. Since no single viewpoint, no particular design for improvement can ever claim to be able to secure improvement, systems designers must not misunderstand the systems idea as a guarantor of comprehensive rationality. This is not to say that the quest for comprehensive rationality is irrelevant, as scholars such as Karl R. Popper, Friedrich A. Hayek, Herbert A. Simon, Robert A. Dahl, and Charles E. Lindblom have argued. It means, rather, that the systems approach is not well advised if it treats as "irrational" those citizens who, because they may be affected by its results, contest its rationality. Their kind of rationality may be the "private," subjective rationality of politics, morality, religion, or aesthetics, but they share with the whole-systems rationality of the systems approach a common failure to be comprehensive. Hence, what the systems designer needs beyond ever new analytical techniques is a dialectical framework that would enable him to enter into a discourse with these other rationalities and to learn to understand them as what they are: mirrors of his failure to live up to the systems idea (Ulrich, 1983, p. 34). In the Enemies, the systems approach for the first time has become truly self-reflective with respect to the value content of its seemingly value-neutral quest for systems rationality. C. West Churchman 75 Years. Systems Practice, Vol. 1, No. 4, December 1988 (ed. by Werner Ulrich). In Celebration of C. West Churchman's 80 Years. Special Section in Interfaces, Vol. 24, No. 4, July-August 1994 (ed. by Ernest Koenigsberg and John P. van Gigch). Obituary: C. West Churchman, 1913-2004. Journal of the Operational Research Society, 55, No. 11 (Nov.), 2004, pp. 1123-1129. C. West Churchman died on 21 March 2004, aged 90, in Bolinas, CA. His wife Gloria Churchman died on 2 August 2009, aged 81, in Mill Valley, CA. His alter ego, Russell L. Ackoff, died on 29 October 2009, aged 90, in Philadelphia, PA.
Ackoff, R.L. (1988). C. West Churchman. Systems Practice, 1, No. 4, 351-355. Britton, G.A., and McCallion, H. (1994). An overview of the Singer/ Churchman/ Ackoff school of thought. Systems Practice, 7, No. 5, 487-521. Churchman, C.W. (1938). Towards a General Logic of Propositions. Ph.D. Dissertation, Dept. of Philosophy, University of Pennsylvania, Philadelphia, Penn. Churchman, C.W. (1948). Theory of Experimental Inference. Macmillan, New York. Churchman, C.W. (1961). Prediction and Optimal Decision: Philosophical Issues of a Science of Values. Prentice-Hall, Englewood Cliffs, New Jersey. Churchman, C.W. (1968a). Challenge to Reason. McGraw-Hill, New York. Churchman, C.W. (1968b). The Systems Approach. Delacorte Press, New York. Paperback edition Dell Publishing, New York, 1969, second, revised ed. 1979. Churchman, C.W. (1970). The artificiality of science. Review of Herbert A. Simon's book "The Sciences of the Artificial." Contemporary Psychology, A Journal of Reviews, 15, No. 6, 385-386. Churchman, C.W. (1971). The Design of Inquiring Systems. Basic Books, New York. Churchman, C.W. (1979). The Systems Approach and Its Enemies. Basic Books, New York. Churchman, C.W. (1982a). An appreciation of Edgar Arthur Singer, Jr. In C.W. Churchman, Thought and Wisdom, Intersystems Publications, Seaside, Calif., Ch. 10, 116-135. Churchman, C.W. (1982b). Thought and Wisdom. Intersystems Publications, Seaside, Calif.
Churchman, C.W. (1990). Ackoff comes of age. Systems Practice, 3, No 2, 125-130. Churchman, C.W., and Ackoff, R.L. (1946). Psychologistics. Mimeographed, University of Pennsylvania Press, Philadelphia, Penn. Revised ed., mimeographed, University of Pennsylvania Faculty Research Fund, Philadelphia, Penn., 1947. Churchman, C.W., and Ackoff, R.L. (1950). Methods of Inquiry: An Introduction to Philosophy and Scientific Method. Educational Publishers, St. Louis, Missouri. Churchman, C.W., Ackoff, R.L., and Arnoff, L.E. (1957). Introduction to Operations Research. Wiley, New York. Dean, B.V. (1994). West Churchman and operations research: Case Institute of Technology, 1951-1957. Interfaces, 24, No. 4, 5-15. Kant, I. (1783). Prolegomena to Any Future Metaphysics. First ed. (A), transl. by P. Carus, rev. by L.W. Beck, Liberal Arts Press, New York, 1951. Simon, H.A. (1960). The New Science of Management Decision. Harper & Row, New York. Singer, E.A., Jr. (1959). Experience and Reflection. Ed. by C.W. Churchman, University of Pennsylvania Press, Philadelphia, Penn. Ulrich, W. (1980). The metaphysics of design: a Simon-Churchman "debate." Interfaces, 10, No. 2, 35-40. Ulrich, W. (1981). On blaming the messenger for the bad news. Omega, The International Journal of Management Science, 9, No. 1, 7. Ulrich, W. (1983). Critical Heuristics of Social Planning: A New Approach to Practical Philosophy. Haupt, Bern, Switzerland. Unchanged reprint edition, Wiley, New York, 1994. Ulrich, W. (1985). The way of inquiring systems, review of "The Design of Inquiring Systems" by C.W. Churchman. Journal of the Operational Research Society, 36, No. 9, 873-876. 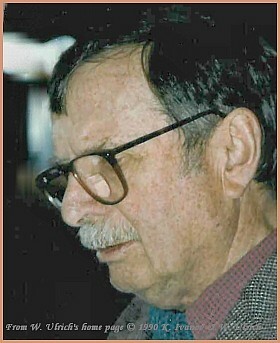 Ulrich, W. (2001). The quest for competence in systemic research and practice. Systems Research and Behavioral Science, 18, No. 1, 3-28. Ulrich, W. (2002). A Bibliography of C. W. Churchman's Writings from 1938 to 2001. 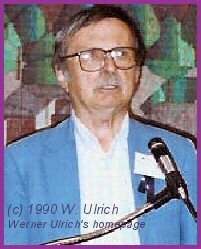 Werner Ulrich's Home Page, http://wulrich.com/cwc_bibliography.html , 4 December 2002, rev. ed. 10 April 2006. Acknowledgment The photographs of C.W. Churchman are due to the copyright holders mentioned with each picture. The portrait photo in the title was taken by A. Schultz Berkeley, around 1995-96. If you wish to use any pictures or other materials from this web site, please respect the conditions explained in the copyright note of this site. Updated and considerably expanded version of a bibliography that was originally published as an appendix to the aforementioned essay "An appreciation of C. West Churchman" in the Section "Luminaries of the Systems Approach" of the web site of the International Society for the Systems Sciences (ISSS). The present version is an update of an earlier revision of 2002, with which the bibliography first became an independent on-line resource in the present site. Prepublication version of a contribution to a Special Section of the journal Interfaches in celebration of West Churchman's 80th birthday, titled "Can we secure future-responsive management through systems thinking and design?" Noncommercial use, distribution and citation of this publication are permitted on the condition that accurate reference is given to all material used.